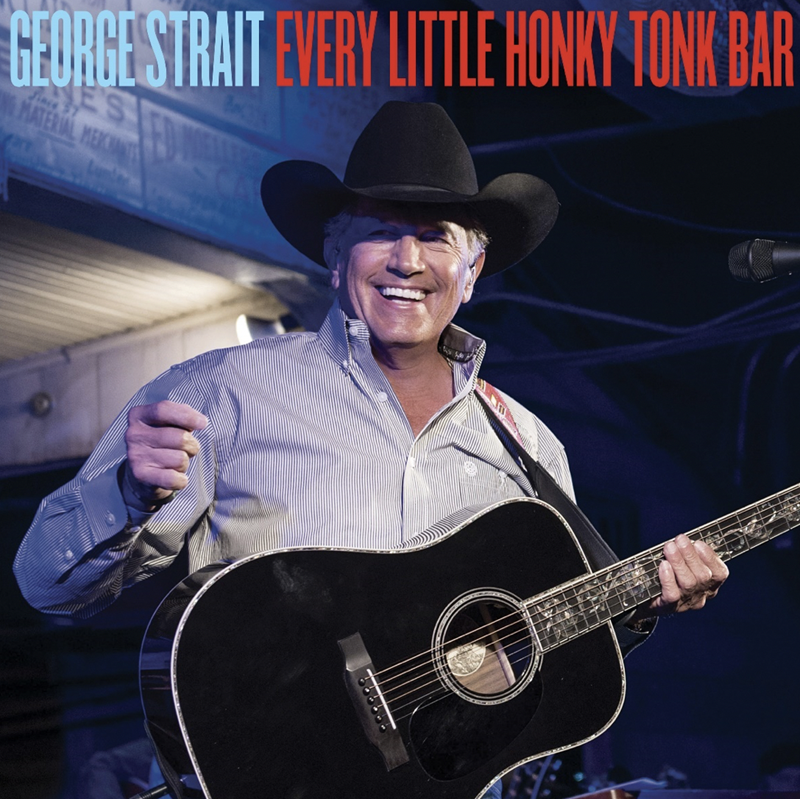 George Strait’s new single, Every Little Honky Tonk Bar, was released February 11, 2019. Written by George Strait, Bubba Strait and Dean Dillon, the new song follows on the heels of recent singles Codigo and God and Country Music. George Strait’s new album Honky Tonk Time Machine will be released March 29, 2019. This weekend, the Country Music Hall of Famer will play his 21st and 22nd sold-out shows at T-Mobile Arena in Las Vegas. The “Strait to Vegas” series began with six shows in 2016 and extended with 10 more in 2017. In 2018, Strait headlined Bayou Country Superfest to a sold-out Mercedes-Benz Superdome crowd in New Orleans, Louisiana, two nights in Tulsa, Oklahoma and one night in Austin, Texas. This year, fans can catch Strait at Mercedes-Benz Stadium in Atlanta on March 30, Ohio Stadium in Columbus, Ohio on June 8, two additional engagements of “Strait to Vegas” at T-Mobile Arena in Las Vegas on August 23- 24 and Dickies Arena in Fort Worth, Texas on November 22-23. For more information, visit www.GeorgeStrait.com.